With the end of the year and the holiday season rapidly approaching, it’s not only the time for Best-Of lists, but also Christmas gift inspiration. You’ll find both here: We’ve selected the 7 must-read (or at least flip-through) photography books of the year that will look good on both your shelf and coffee table, from historic fashion publications to artsy monographs. For more than four decades, British Magnum photographer Martin Parr has been capturing our banal, daily lives on film, with both affection and a satirical eye. His ability to present the familiar in a fresh, unexpected and often humorous way has made him one of the most celebrated photographers of our time. He’s especially interested in cultural clichés; a theme Parr has already skillfully explored with his beloved series »Think of England« and »Think of Germany«. 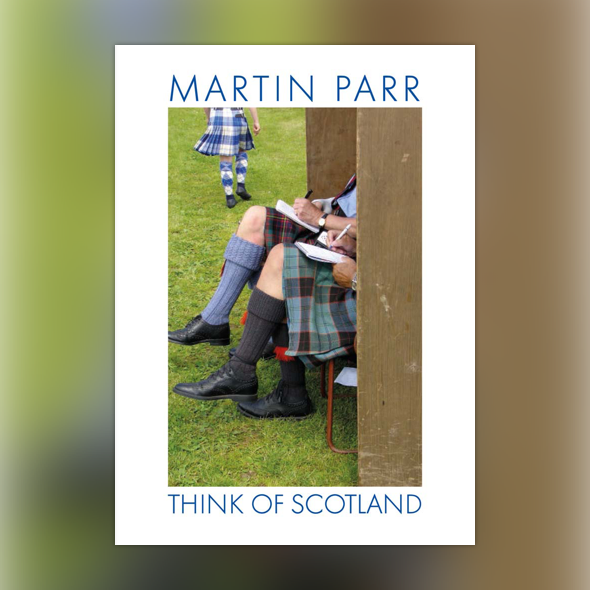 This October he released his personal ode to Scotland, unsurprisingly titled »Think of Scotland«. Parr has been exploring and photographing the country for over 25 years, turning his lens on everything from passed-out drunks and rainy landscapes to kilts, national dishes, and football fans, closely observing the cultural and social routines of people going about their ordinary lives. »Think of Scotland« finally brings to light a stunning selection of Parr’s greatest, previously unpublished archive. »My fascination for fashion photography emerged because of my complete disbelief at how widely ignored the genre was in academia,« Eugénie Shinkle, the author of this both entertaining and educating survey, recently told the NY Times. With »Fashion Photography: The Story in 180«, out this October, the senior lecturer on photographic theory and criticism at the University of Westminster maps out the key figures and movements in fashion photography from the dawn of the genre to present day, confirming that fashion photography is an art form in itself and exploring its lasting impact on us over the past eight decades. The extensive overview naturally features every conceivable major fashion photographer of the past and present, from Richard Avedon, Horst P. Horst, William Klein, and Helmut Newton to Guy Bourdin, Steven Meisel, Corinne Day, and Juergen Teller. An absolute must for any fashion fan and anybody remotely interested in the genre. In a way, this stunning publication by acclaimed American photographer Stephen Shore is a follow-up to his iconic book »Uncommon Places«, which was originally published in 1982 and has been expanded and reissued several times. 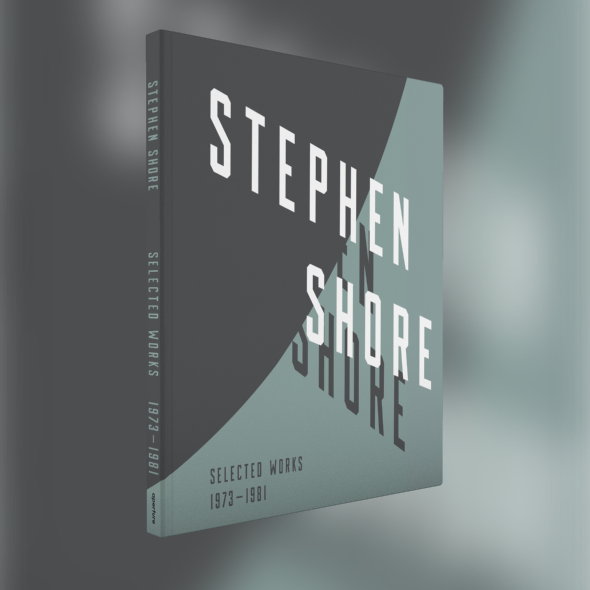 »Selected Works, 1973–1981« revisits Shore’s work of that defining period 35 years later, unveiling 150 rarely seen additional images selected from hundreds of negatives Shore has been scanning over the last five years. Interestingly, publisher Aperture has invited an international group of fifteen photographers, curators, authors, and cultural figures to each choose ten photographs and present them from their own personal points of view, revealing the tremendous influence Shore’s work continues to have on more than one generation of photographers and artists. He was, after all, among the first photographers to take color beyond the domain of advertising and fashion photography. The commentators range from cult film director Wes Anderson and renowned artist Ed Ruscha, to star curator Hans Ulrich Obrist and fellow photographer Thomas Struth. 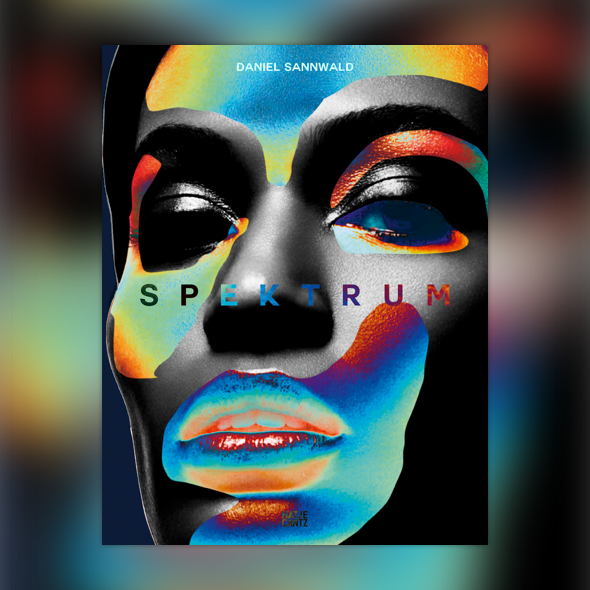 German-born and London-based Daniel Sannwald (34) has made quite a name for himself over the years, not only with his mesmerizing, colorful fashion shoots, but also with album covers and music videos for superstars such as Woodkid, John Legend, and MIA. As one of the top fashion photographers on the contemporary scene, he’s been featured in Dazed and Confused, i-D, PoP, Arena Homme+, and Vogue. Spektrum, published this November by Hatje Cantz, brings together his best works from recent years, taking the reader on a journey through his magical, surreal, and psychedelic universe, effortlessly switching between analogue and digital, camera and iPhone, photography, collage, and painting. To find out more about Sannwald’s dreamy cosmos, read our interview with the artist here. Chris Moore, the undisputed king of catwalk photography, was one of the very first catwalk photographers in history, and is now undoubtedly among the most experienced. When he started out in the 60s, there wasn’t even such a thing as the catwalk, photographers couldn’t enter the couture houses and had to pay the models to pose outside on the street. Although even now, at the age of 83, Moore still doesn’t appear to be thinking of retiring, it’s not too early to look back on a vast and exciting career that stretches over no less than six decades. 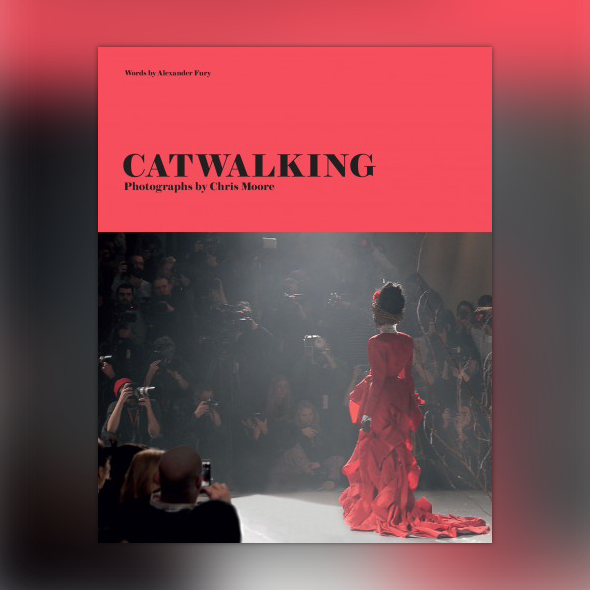 As Moore has seen and shot them all, »Catwalking« includes all the legendary catwalk shows of fashion history, from Gabrielle Chanel’s final collection to Karl Lagerfeld’s first for the label; from Galliano's graduation show to Alexander McQueen’s first posthumous salon show, where Moore was the only photographer to be allowed in. The iconic images take the reader on a thrilling trip through fashion history and are accompanied by essays and interviews by award-winning fashion critic Alexander Fury. It’s been quite a year for celebrated photographer Wolfgang Tillmans, the first ever photographer to win the Turner Prize in 2000. 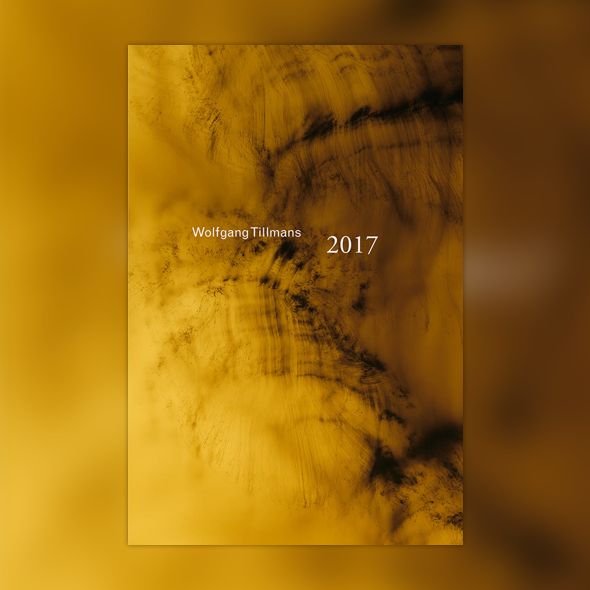 Fittingly, 2017 is not only the title of his highly successful solo show earlier this year at Tate Modern, it is also the title of the accompanying book which serves as both an exhibition catalogue and mid-career retrospective, exploring the last 15 years of Tillmans’ extraordinary career. The publication, entirely designed by the artist himself, shines a light on his photography work as well as video projects, digital slide shows, recorded music, and more: Tillman’s work is characterized by constant investigation into the boundaries of the photographic medium. For those who didn’t make it to London, it’s a great way to discover this absolute highlight of 2017’s exhibition program. Japanese photographer Rinko Kawauchi is known for her pure compositions and poetic visual language. Her lush, captivating images strike you with a fascinating calmness, serenity, and timeless beauty while effortlessly relating the intimate to the universal. 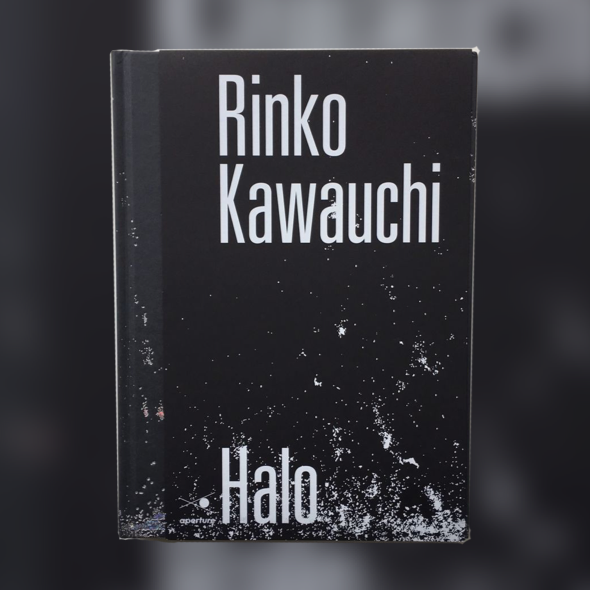 After focusing a great deal on the everyday at the beginning of her career, the Tokyo-based artist has slowly been trying other approaches, as is the case with her newly published book »Halo«. Here, she interweaves photographs of the southern coastal region of Izumo with images from New Year celebrations in Hebei province, China (a five-hundred-year-old tradition in which molten iron is hurled in lieu of fireworks) and her ongoing fascination with the murmuration of birds along the coast of Brighton, England. A compelling investigation knitting together cycles of time, patterns of nature, and human ritual.